I found a small, intimate Russian restaurant in my nieghborhood (Bunkyo-ku), and yesterday I finally went to it with a friend. It was quite tasty and inexpensive. 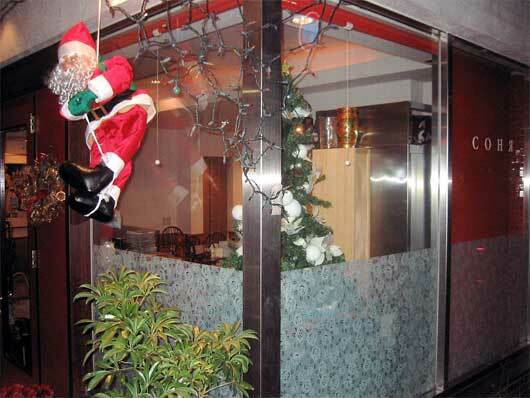 It was festively decorated for Christmas as you can see in the picture above. The borscht was really tatsy, recently I've come to the realization lately that I really, really like soup. The pierogis weren't what I expected-I was tinking more pasta like, but they were sort of like stuffed bread. But I really liked the pumpkin (which was spicy) and the minced beef. The others (chestnut, bean paste, and blueberry) were much sweeter. good to be relinked to you! 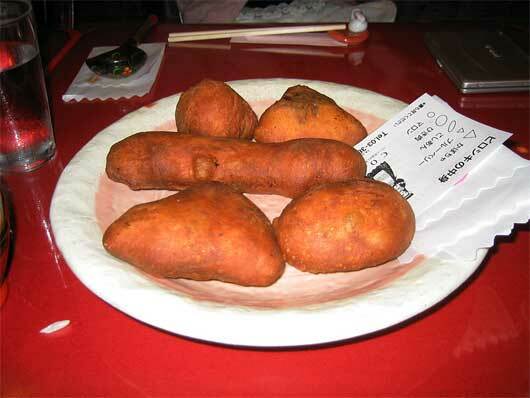 are those real pierogis, or did they have fake ones made to display? (because if they are fake, they look not so appetizing...though i am a huge fan of pierogis and anything starchy that is stuffed!) sounds good! Those are the real thing, I don't know why they gave us the little sheet with an explaination of how to heat them. 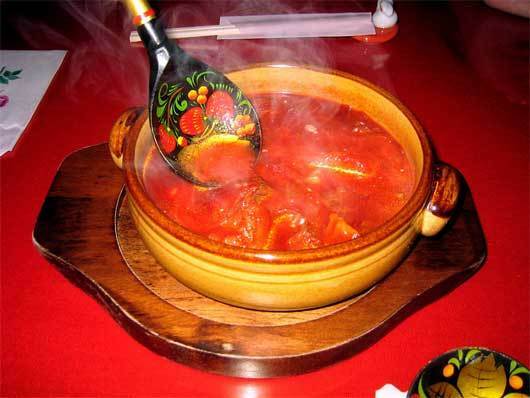 Well, nothing can be more Russian in a table than a piping-hot borscht soup. Did you order vodka? I mean, it would only make sense, since they seem to be the right pair. Do they also have blini?